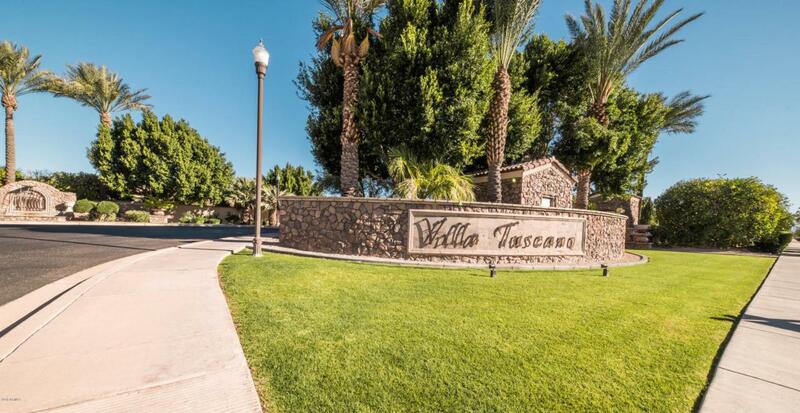 Here is your chance to live in one of the nicest subdivisions in all of Mesa -Villa Tuscano. This residential construction lot is covered with healthy citrus trees and is ready for your dream home. Villa Tuscano is a unique neighborhood that has tree-lined streets, Hand-forged wrought iron, hand carved cantera flower pots and fountains, a lush beautiful park to play or bbq under the ramadas, play sand volleyball of watch the kids play on the playground or soccer/football on the large grassy area. The uniqueness of the subdivision is a must see. Shaped in a circle with two cul-de-sacs - every lot is flat and easy to build on. Our motto: ''Villa Tuscano is where you want to be.'' Check out the video on the photos section under virtual tour. Cross Street Val Vista & Mckellips Rd.